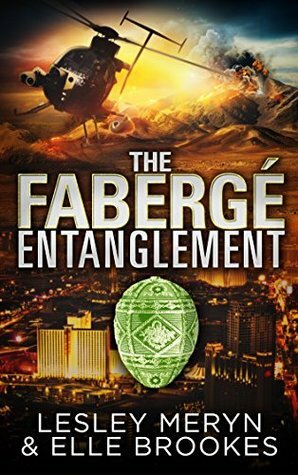 Elle Brookes is one of the co-authors of The Fabergé Entanglement, a romantic thriller with a fantastic cover, and a blurb that makes me want to read it right now and yesterday. Alexandre Dumas, Jules Verne, Edgar Rice Burroughs, Adam Hall, Tim Powers, Sara King, Margaret Atwood, and many others. As you can see my tastes are very eclectic. What is your favourite novel cover? I don’t think I have a favorite novel cover. But I like the one for my latest book very much. It’s exciting!! What’s the best Hero Moment you’ve ever seen in film? One moment that sticks with me is when, in True Lies the Jamie Curtis moment when The Arnold grabs hold of her hand just as the car speeding on the Florida Keys Highway goes over the edge of the destroyed highway and she’s hanging there in the air. The first time I saw it I remember grabbing the guy next to me and yelling (and he grabbed me back!). What’s the best Hero Moment you’ve ever read in a book? I think that honor goes to just about any heroic moment in any of the Diana Gabaldon books. I’ve been following the Outlander Series for over twenty years now. What reading device do you use for reading ebooks on? I use the Kindle App on my iPad. I also use my iPod for reading, especially when I am waiting in lines, etc. I don’t read on a smart phone. I don’t have one. My phone is rather stupid. I only use it for phone calls. But not stupid phone calls. (Texting is nearly impossible as the keys are tiny and in English and Arabic letters. Literally Arabic letters); please don’t ask, I live in Costa Rica where you get what’s available in cheapie phones! What is your take on the indie author phenomenon? What do you think the book industry will look like in five years’ time? I love the indie author experience. I love the choices that I have a chance at something new and different, not something whose criteria is whether it’s going to make a lot of money for a publisher. There are several really talented writers out there who write quirky strange novels that would never have made the cut at one of the “trad” publishers. For a newbie it can be a daunting experience. The author is responsible for doing everything. The landscape is always changing, it’s a lot like straddling the San Andreas Fault, and not knowing if you’re going to take a mis-step and fall in. Do you ever skip the “I love you!” scene in your novels? I have skipped the “I love you” in my novels. But it’s my hope that I have positioned the characters and the point in the story where you know that it’s implied. The couples in my novels have been profoundly changed by the intense experiences they have shared together, the sense of connection has been forged. The “I love you” is coming very soon, but it’s outside of the book. What’s your take on eBook piracy? What would you do about it if you were given carte blanche? I would make them walk a metaphorical plank. Plus I have a supply of recently acquired Tupilaks from Greenland. If someone offered you immortality, but you could never write again…would you take the offer? I don’t think I could bear immortality, watching everyone around me that I care about die, so no thanks. What do you want your epitaph to read, at the end of your life? What are you currently reading? How’s that going for you? I just finished The Kite Runner by Khaled Hosseini. This is a very touching book with great insight to a misunderstood part of the world. Favourite food(s)? Sushi, definitely sushi, Thai, Burmese, and there’s nothing like a great thin-crust pepperoni pizza. Favourite music? Very eclectic, 80s pop, Northern Soul, Alternative Rock, I love Lounge music (old and new standards), Blues. It all depends on the mood I’m in, or what I’m working on while writing. Favourite sport? I’m not very sporty watching, but soccer, World Cup. Favourite spot in the world? At the edge of Dettifoss Waterfalls in Iceland. It’s huge, wild, dangerous and hypnotic, drawing you closer. Favourite TV show? I don’t really have one, but I’m a James Spader fan so if I had to choose it would be The Blacklist. Favourite thing to do at knock-off time? If I’m wearing one, taking off my bra. Oh, and have a drink. The kidnapper seems to know Saber very well, and knows that the next day, through her work as an elite translator she will be in the same location as the Object. She must steal the Object and deliver it to the kidnapper to ransom her father. Adrian Steele, a British Intelligence agent has just come off of two harrowing missions. Upon returning to London for a well-earned rest, he learns that his friend and fellow agent, has been murdered in Moscow, but not before he made use of a unique Object as a mobile ‘drop site’ for the valuable intelligence he was carrying. In reality they are at the mansion to check out the security arrangements — for their own reasons — to steal the Object, a Fabergé egg worth thirty million dollars. But who will get to the egg first? He was more striking close up. The wire-framed glasses that had given him that bookish look were gone. As a matter of fact, at that precise moment there was nothing about him that was the least bit bookish. Now he looked more like a feral choirboy. Saber lowered her eyes taken in by the seductive curve of his jaw, and his lips parted in an expression of amazement that drew her closer, hypnotically, begging to be covered with her own. She pulled herself back, reminding herself why she was there, what she must do. Leaving him to be found by the Sheikh’s security men would be a pity, but she had a job to finish. She knew her job too, she was slick, professional. 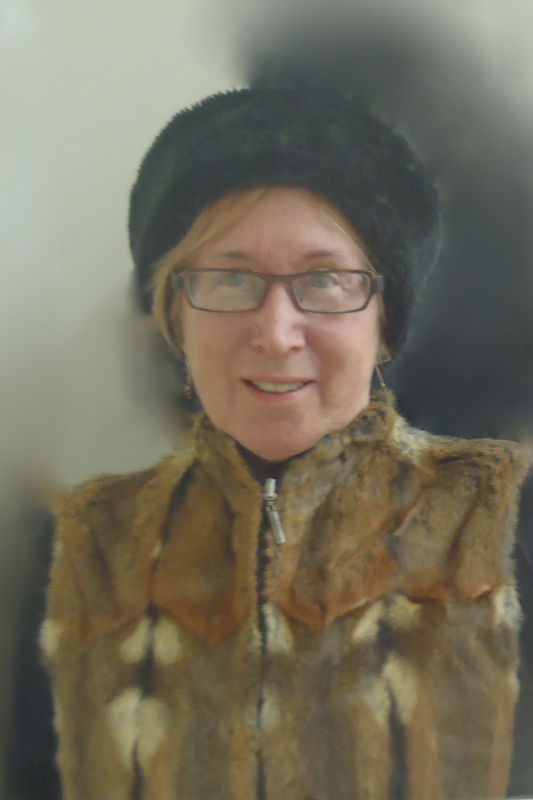 Her contribution to the family business was to test the security systems that were installed by Frontenac et Cie. She was always on-call to the “Uncles” between her translation assignments to do this testing. And she was very good at it. When caught in a tight spot, she was focused on the job at hand, holding back emotion, the fear of “capture” pushed away. Her focus was laser-like in intensity. She infiltrated the secured areas of high-security targets, grabbed the “package” then ex-filtrated as invisibly as a wisp of smoke. Reflection and reactions came after, as she wrote up her reports and advised the designers on flaws and vulnerabilities in their systems. But all this slipped away as she felt the light touch of his hands, feeling their heat through thin black leather gloves. They slid very slowly up her thighs, coming to rest lightly and seductively around her waist. She stifled a gasp as she felt his hot fingers press into her, very much a lover’s caress. In scant seconds Saber’s focus for the job at hand, the reason that she was there to begin with, melted away as she felt his hands tighten around her waist. Her grip on the gun weakened as a wave of heat suffused through her. With a swiftness that took her breath away he closed the narrow gap between them. A hot flash of desire surged through her as his lips took possession of hers. Taking advantage of her surprise, he dashed the gun from her hand, sending it spinning away out of her reach. He flipped her over so she was now under him. Saber stared up at him wide-eyed, his lean, hard body on hers evoking a reaction from deep within her that was as intense as it was unexpected. Shocked, confused, she twisted her head away from his, but her eyes still kept a sidewise watch on him. He bent in closer. Dark eyes flashed dangerously through the long shag of hair that fell over his face. Then, very, very slowly as though savoring every moment, he slid his gloved hand along her arm, around her shoulder, then up her pale exposed throat. Steele’s hand paused, feeling her pulse flutter wildly under his fingertips, before moving up to thread through her silky raven hair. His grip tightened and he turned her head to face him. “Mmmm… I can do it, too,” he breathed softly into her ear. She is the author of the first two books of the Time Frame Series. Loves travel, discovering new foods to try, reading and writing. She currently lives in the central highlands of Costa Rica with Pixie the Wonder Dog and her hedgehog Quiller.